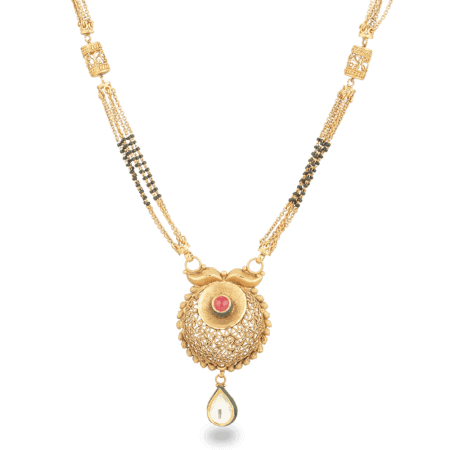 The tying of the mangalsutra is one of the most sacred and important customs in Hindu weddings. 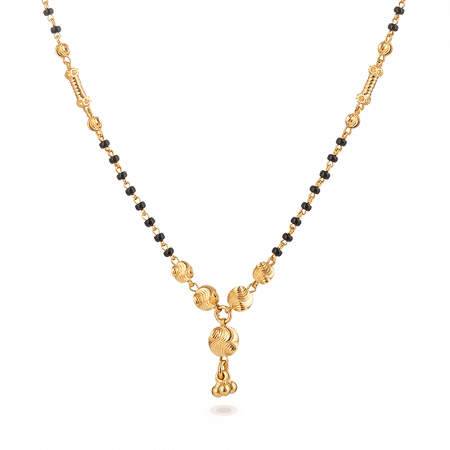 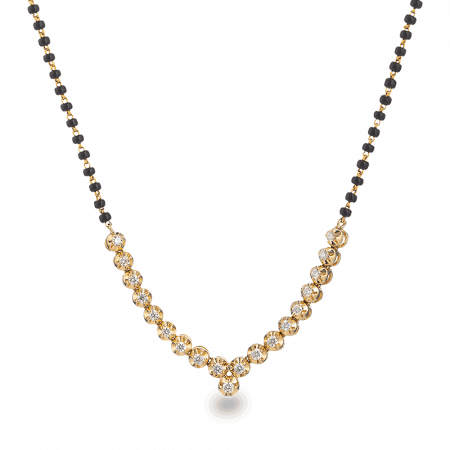 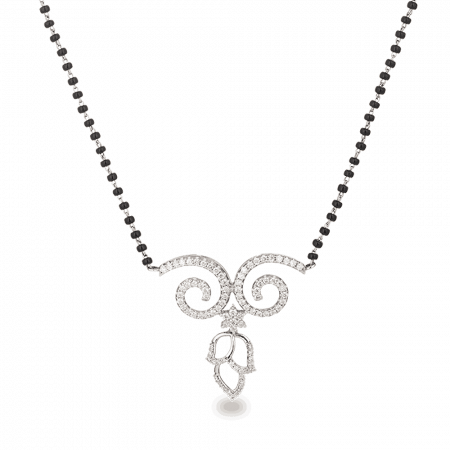 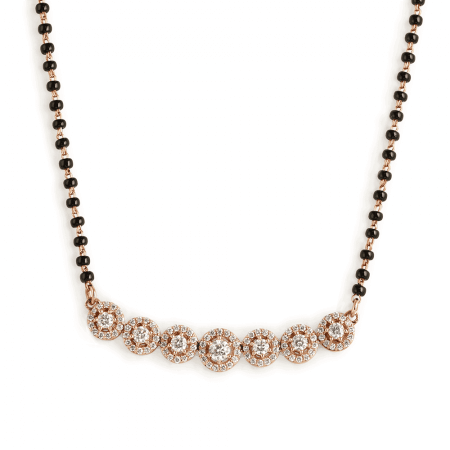 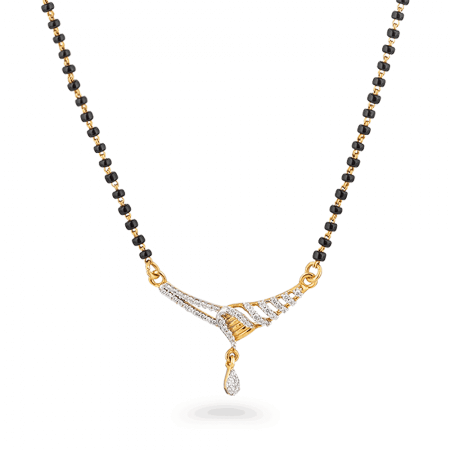 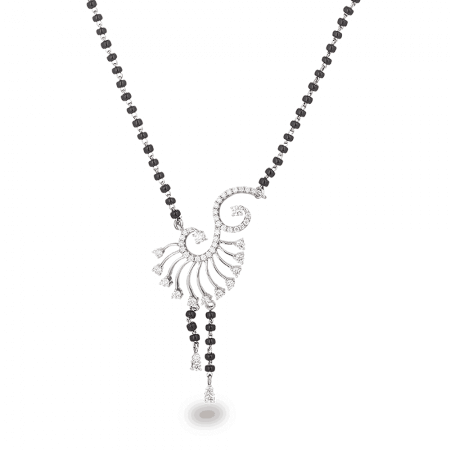 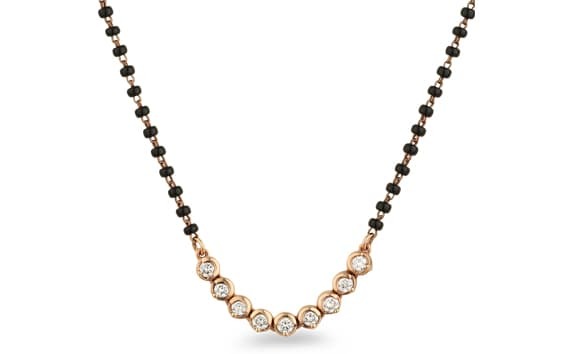 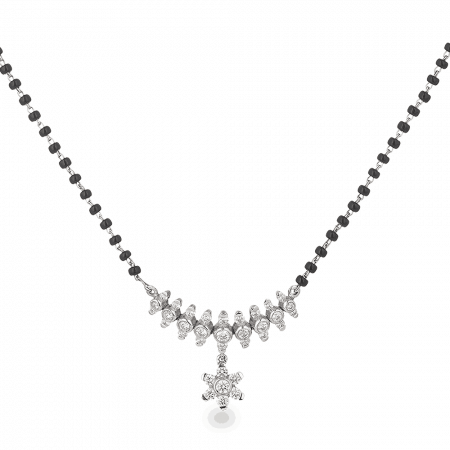 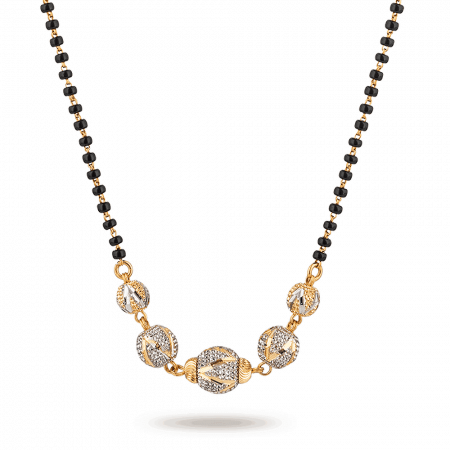 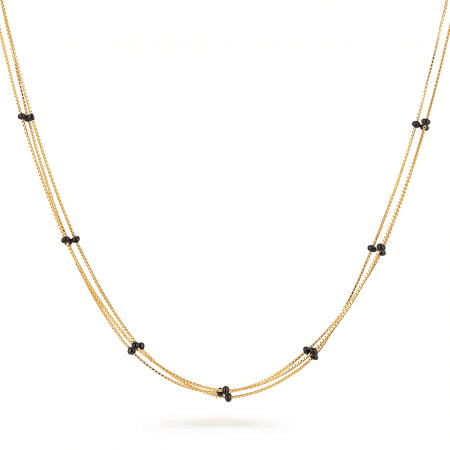 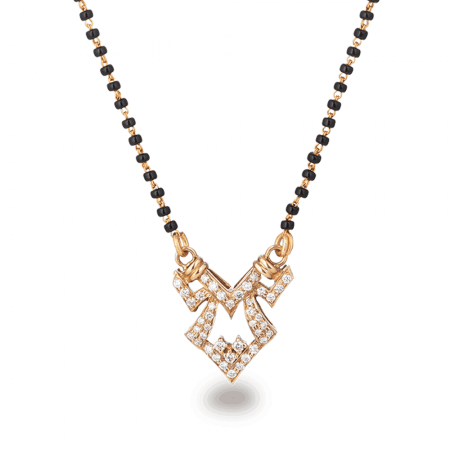 The mangalsutra is a black and gold necklace finished with a pendant, usually made from gold or diamonds. 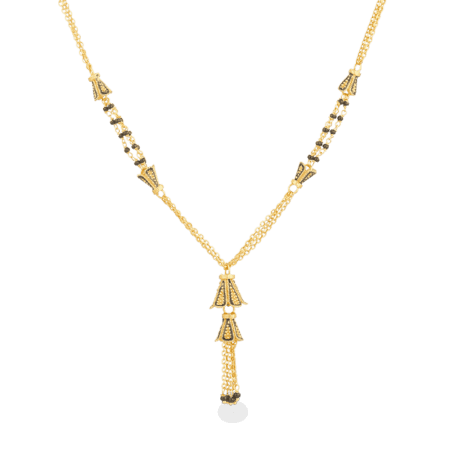 Just as married couples in Christian marriages both wear wedding rings for the duration of their marriage, the Mangalsutra serves the same purpose for Hindu brides after it is tied around her neck by her groom during the wedding ceremony. 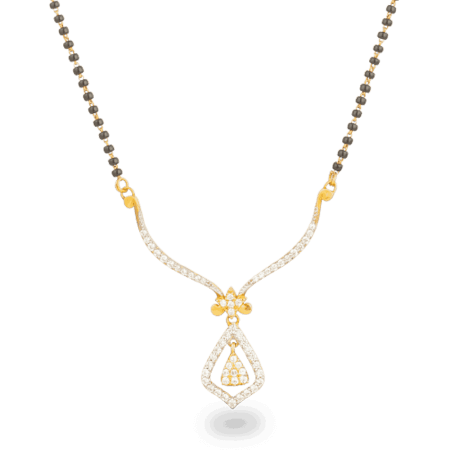 Clearly then, mangalsutra are important pieces and need to be designed to live up to the special role they play in people’s lives. 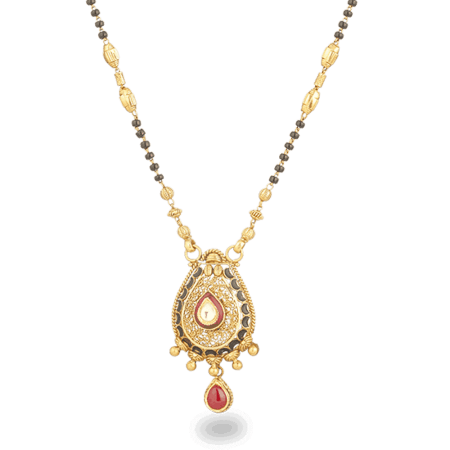 We believe that the authentic Indian design techniques and manufacturing methods that we value so much at Pure Jewels give us an edge on the competition when it comes to designing such special and important pieces. 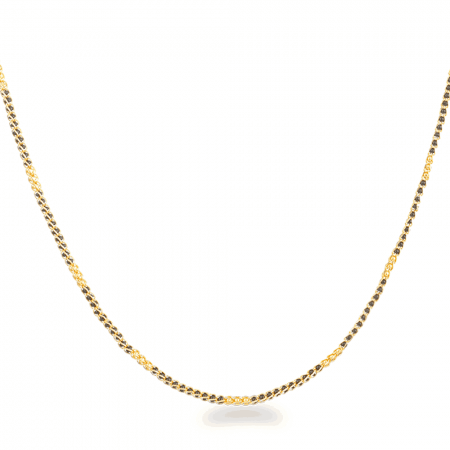 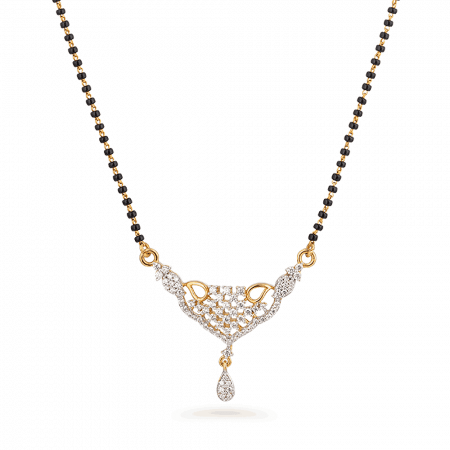 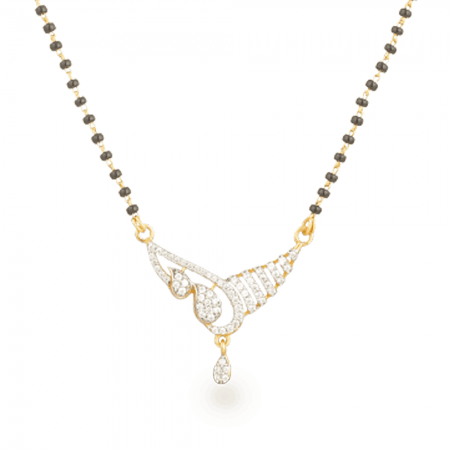 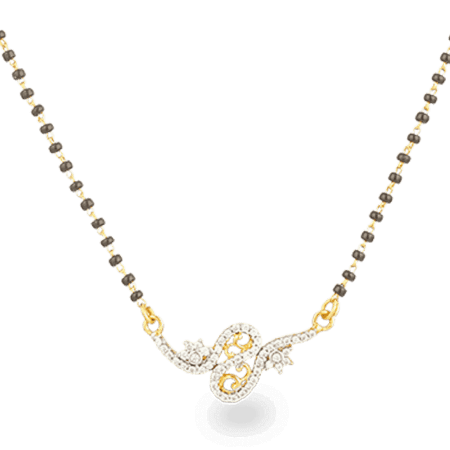 Our 22ct Gold Mangalsutra Pendant features Swarovski stones making it a quality piece through and through. 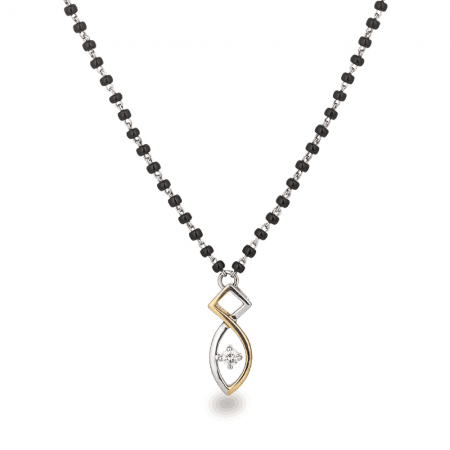 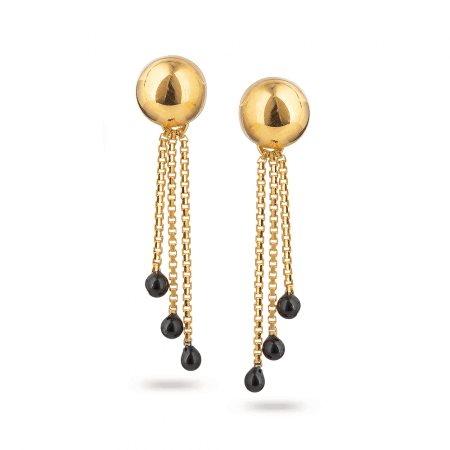 The centrepiece of the pendant is a simple yet effective inverted golden teardrop with diamond studs. 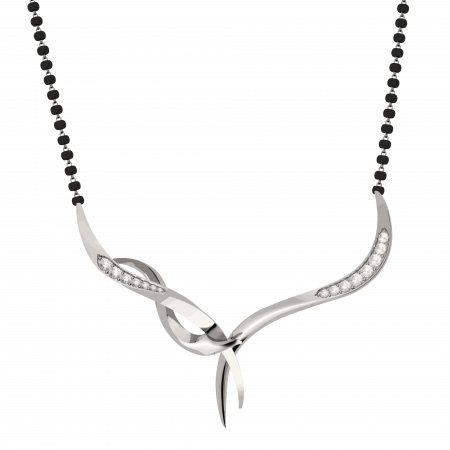 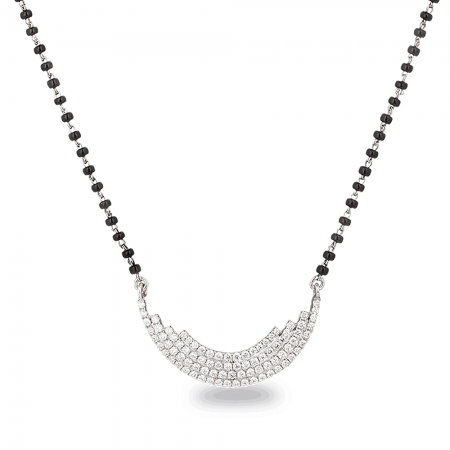 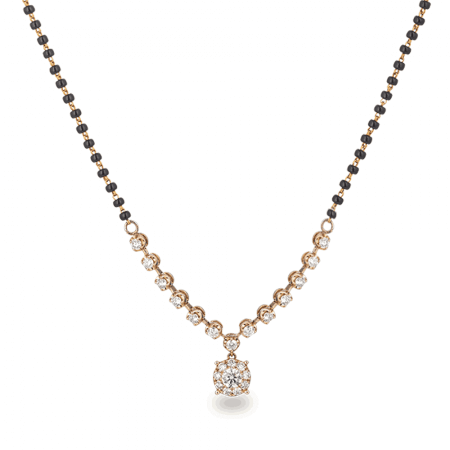 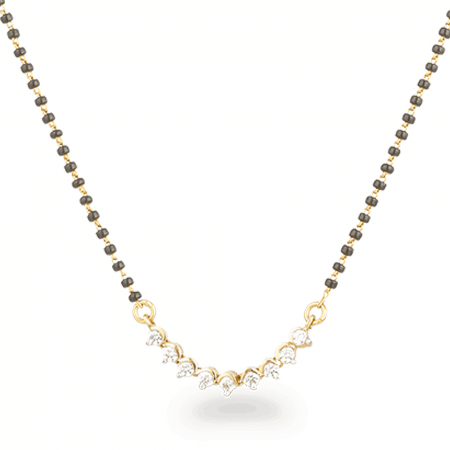 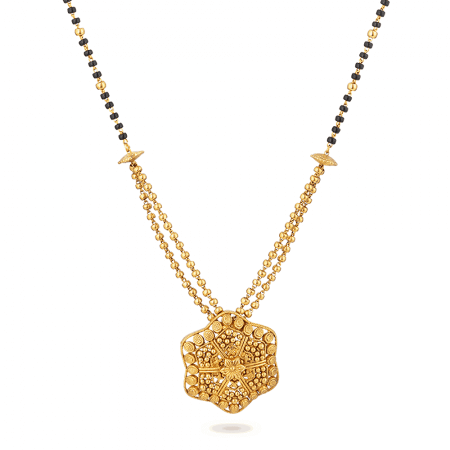 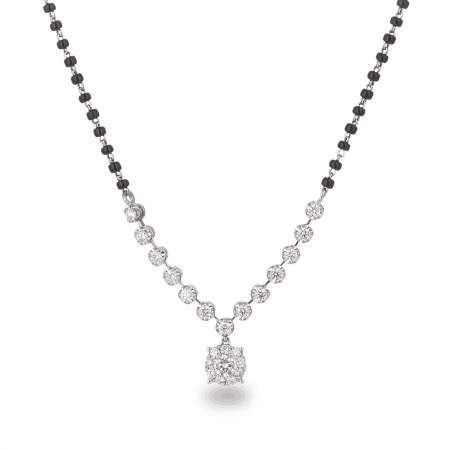 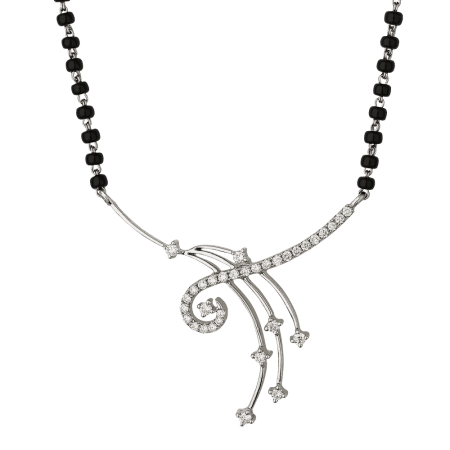 Completing the pendant is a checkerboard style pattern of Swarovski stones set in to that beautiful 22ct gold. 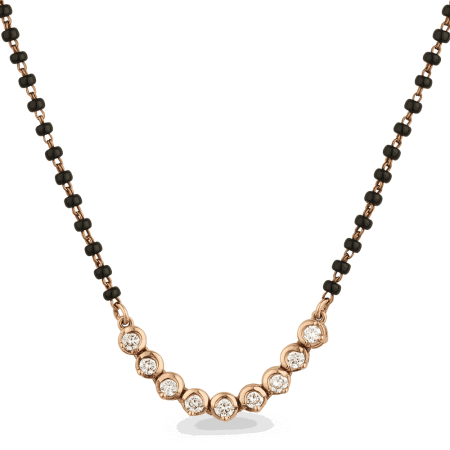 Our 18ct Rose Gold Diamond Mangalsutra carefully arranges a lot of exceptional qualities in a light, effortless design. 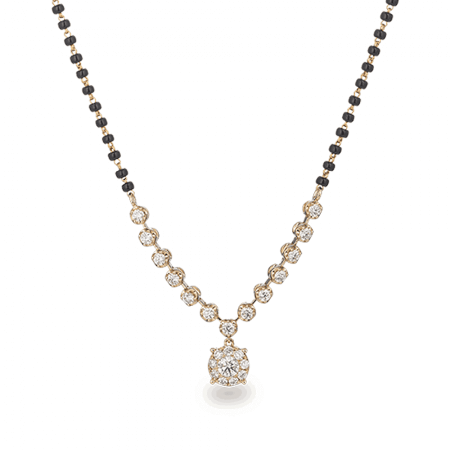 The pendant consists of a chain of rose gold buttons featuring a diamond flower shape surrounded by a diamond encrusted ring, the juxtaposition between the bright sparkle of the diamonds and the subdued glow of the rose gold creating a beautiful effect. 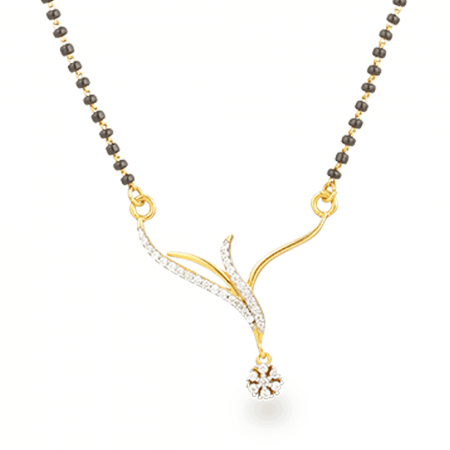 The mangalsutra is believed to have originated in Southern India and it is something that requires a touch of authenticity in order to pull it off properly. 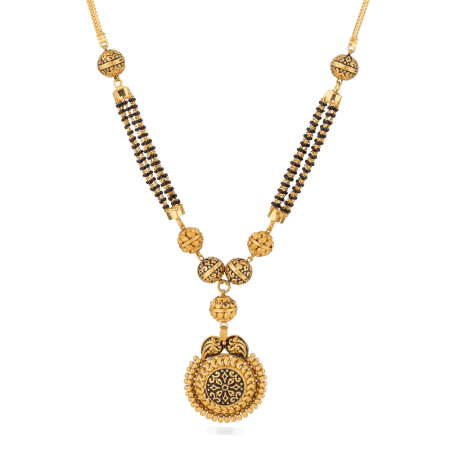 At Pure Jewels, we have a deep appreciation for, and understanding of, traditional Indian jewellery design and manufacturing principles. 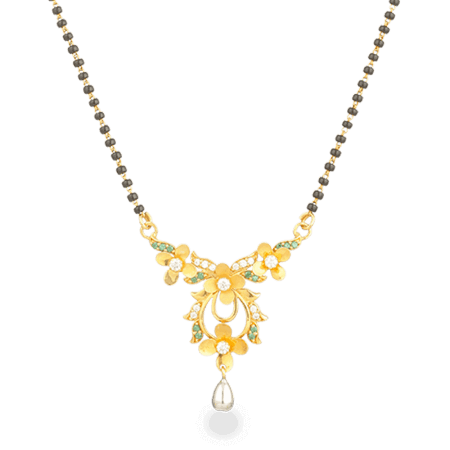 Our mangalsutras are among the most beautiful pieces available for the price they cost.